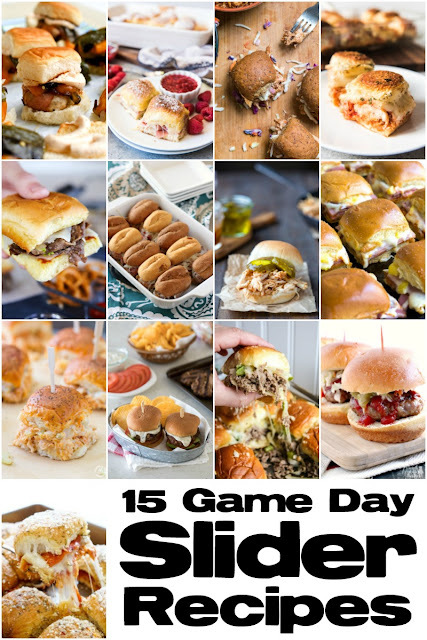 Of all the game day recipes I have posted to this blog over the years, I have never once posted a sliders recipe.... that is, until today. And I have no clue why it has taken me this long! 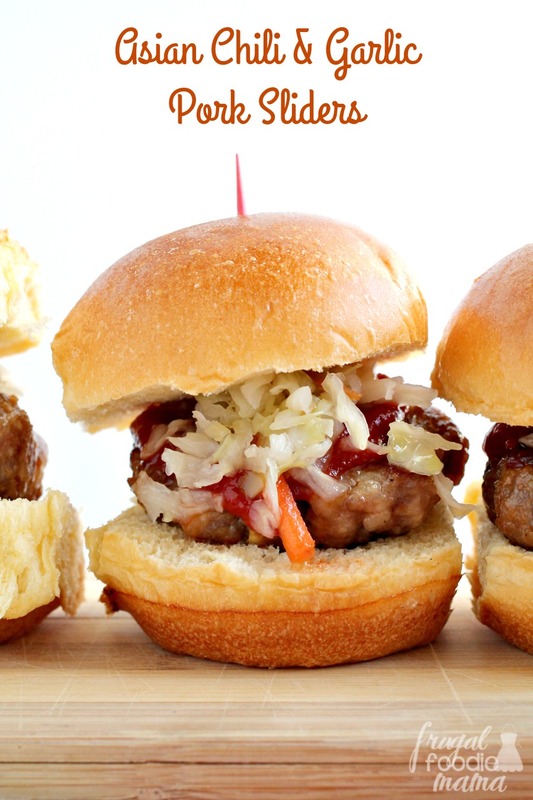 I mean, sliders make the perfect football food. They fit in one hand leaving one hand free for making gestures of victory or disgust during the game. 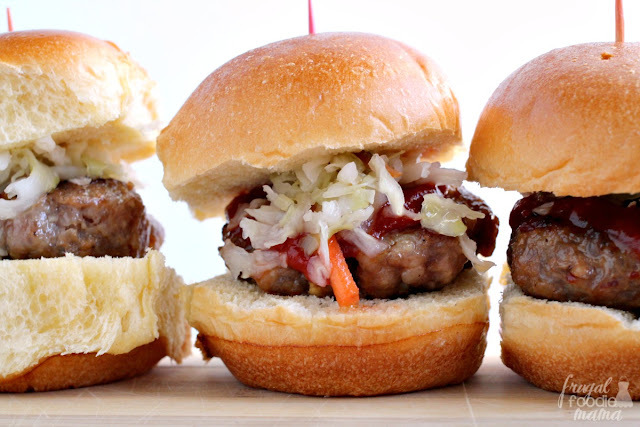 ;) You can pack a ton of flavor into these tiny burgers. And they are perfectly snack-sized so you that can save room for the other game day goodies being served like hot wings and chips & dip. That is game day food perfection in my books, folks. You should be able to easily find the sesame oil, Sambal Oelek (ground fresh chili paste), & rice vinegar in the Asian foods section of your local grocery store. But if you have happen to have an Asian market nearby, you will definitely be able to find all of these ingredients there. 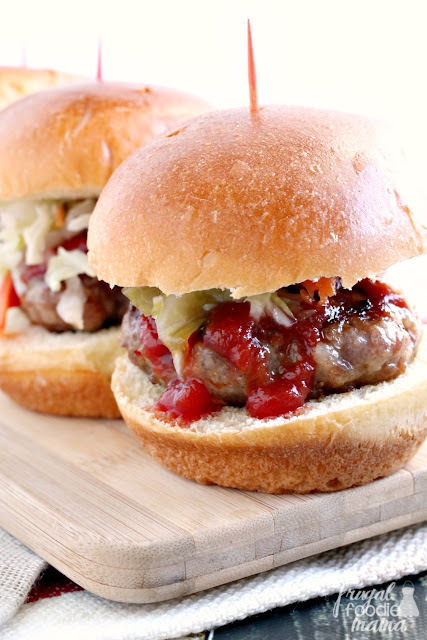 If you like a little extra kick of heat, top these flavorful burgers with a little chili sauce. 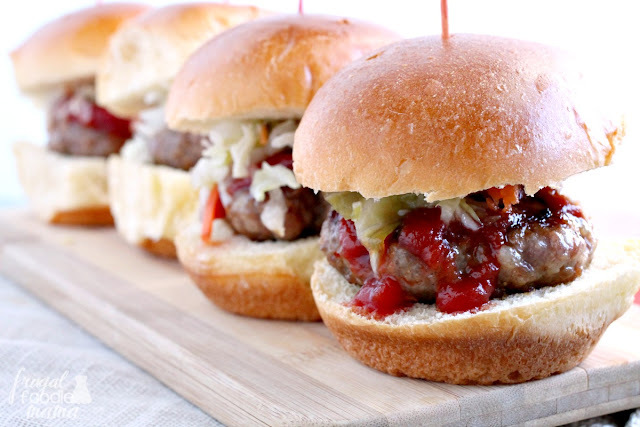 It is like a kicked up version of ketchup that happens to pair perfectly with the flavors in these Asian sliders. Trust me- it is so good, you all. 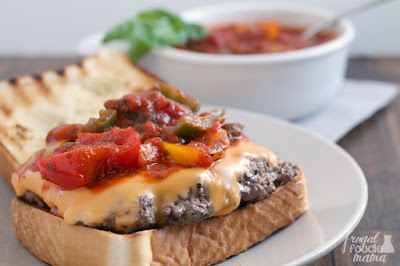 You can easily double or triple this recipe to feed larger crowds for the big game. Bring the water, vinegar, sugar, & salt to a boil in a medium sauce pan. Place the coleslaw mix into a bowl. Pour the boiling mixture over top and give a quick stir. Allow the mixture to cool to room temperature, then cover & refrigerate until ready to serve. In a large bowl, whisk together the minced garlic, soy sauce, rice vinegar, Sambal Oelek, ginger, brown sugar, and salt & pepper until the sugar is dissolved. Add in the ground pork & mix the together with your hands until well incorporated. Heat the sesame oil over medium-high heat in a cast iron skillet or grill pan. Using an ice cream scoop, scoop out even amounts of the pork burger. Shape into little burgers and cook until cooked thoroughly, about 4-7 minutes per side depending on how thick you make your burgers. 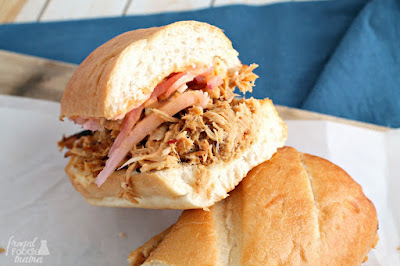 Serve on Brioche or Hawaiian rolls topped with a little of the pickled slaw & chili sauce, if desired. Serve immediately.